Regal and eye-catching at once. 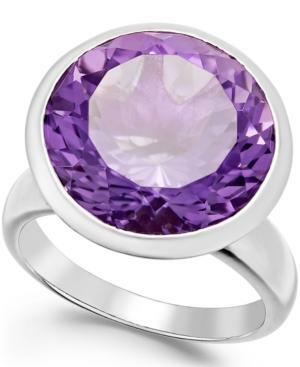 This statement-making ring boasts round-cut amethyst (11 ct. t.w.) set in sterling silver.